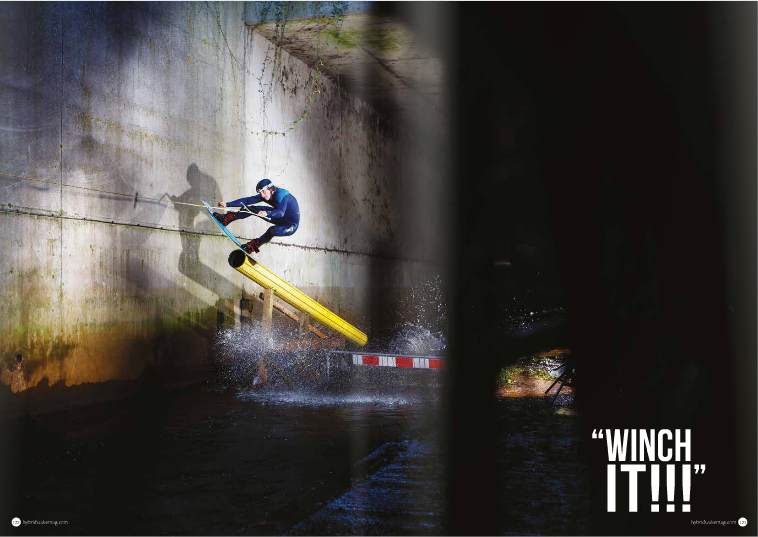 Family Creative wanted to create an action sports piece that looked at the surrounding environment of the athletes – unlike any other board sport we felt that Wakeboarding (cable) had an interesting contrast between the water and the land. Solid shapes and parallel lines mixed with the flowing water of the lake – they started to look at how the water breaks apart any sort of geometric shot. The movement of the riders in contrast to the lines of the cable, so on and so forth. System 2 cable riding has revolutionized the sport, with an encouraging amount of growth all over the world and especially the UK – riders can get on the water in areas where they couldn’t with a boat. They invited 3 riders that play a big part of the UK rail riding scene and have always been at the forefront of features riding on System 2 to get involved with our project. All based in the South, they hit up Matt Crowhurst who gathered his team mates from Ultra Sport Europe – CK Koester and Lee DeBuse. They think they did pretty damn well. 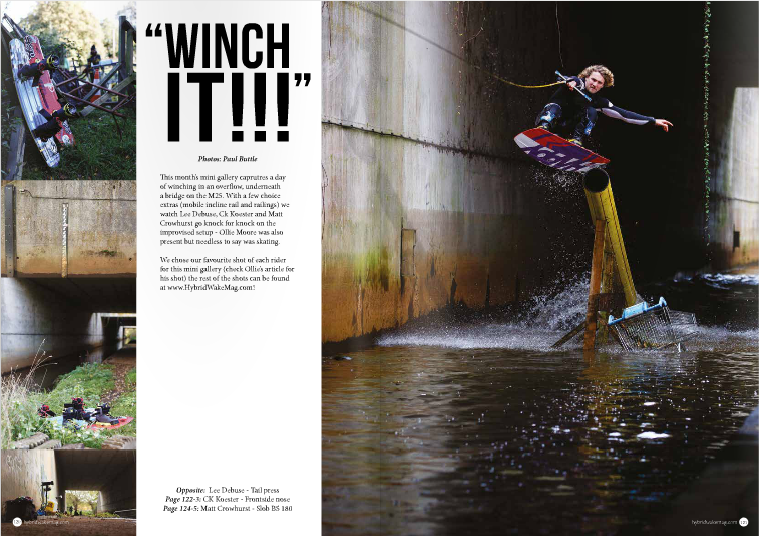 Here are the shots from our winter shoot for Hybrid Wakeboard Magazine in a local drainage ditch.